1. 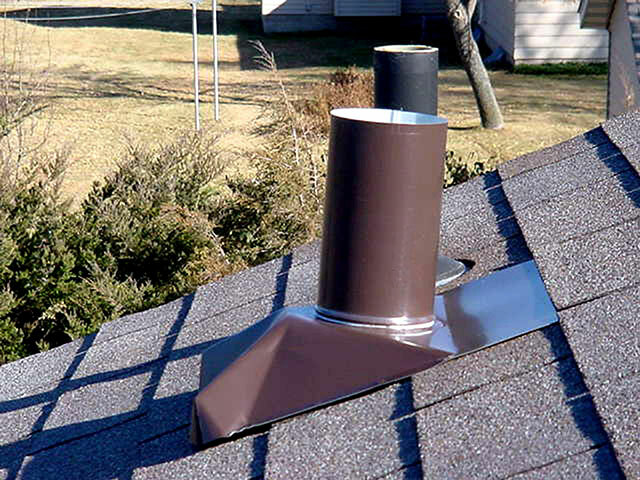 Before installing your new F.J. Moore Roof Flange, please read the included instructions. 2. Place new vent pipe flange next to vent pipe and visually check pitch alignment. 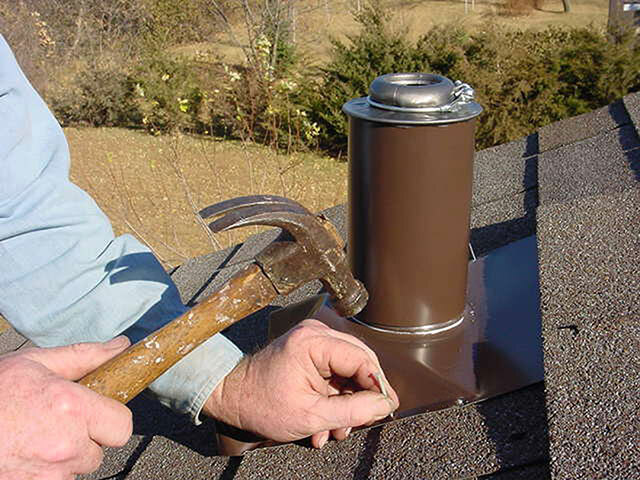 Vent pipe must extend 2" to 5" above base sleeve to allow for roof expansion and contraction. Cut off excess pipe above 5". If pitch adjustment is needed, push the flange hips in to increase pitch, pull the flange hips out to decrease the pitch. 3. 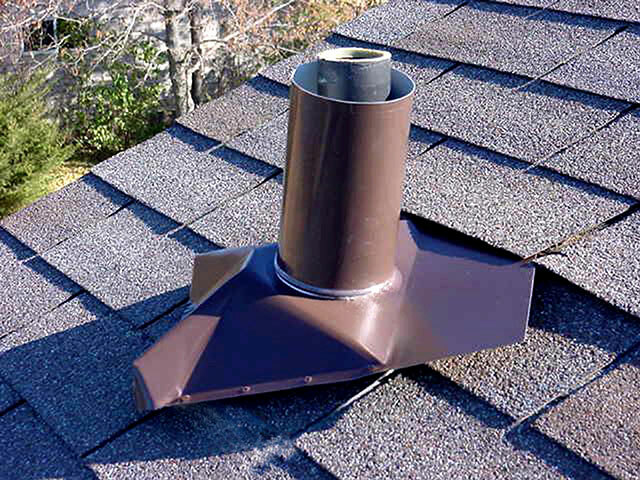 Place the vent flange over the vent pipe and rotate into position under one or more rows of shingles.Visually check the base sleeve centered around the vent pipe for equal air circulation. 4. Upper flat section of flange must be completely covered. 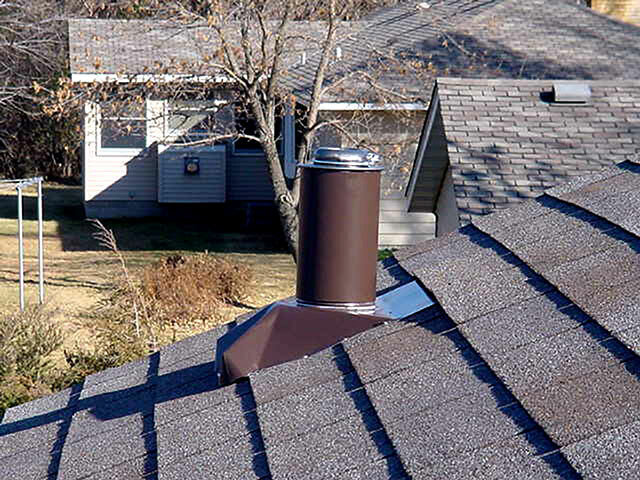 If necessary, rotate under two rows of shingles and trim shingles to fit. 5. 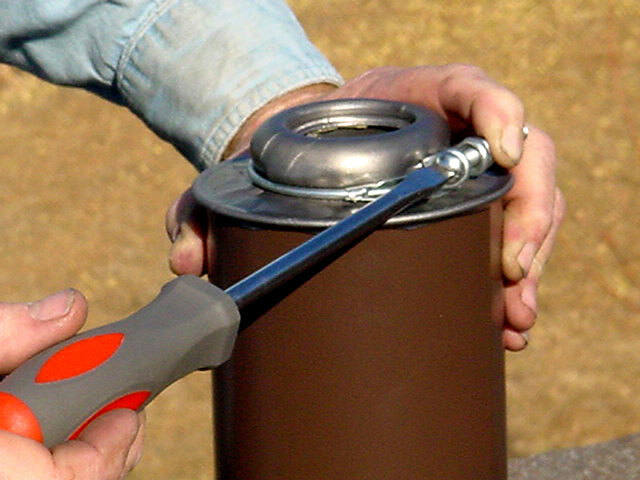 Slide the top sleeve over the base cylinder until the lead seal fits tightly on the vent pipe. Tighten the ring clamp. 6. 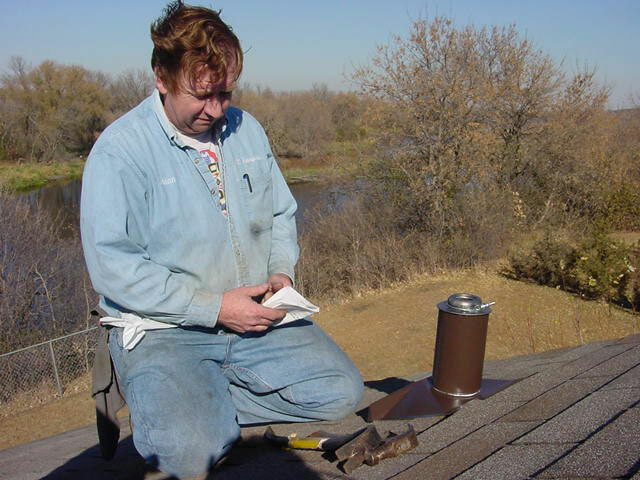 Use embossed guides around perimeter of the base flashing to securely nail the base to the roof. 8. DONE! 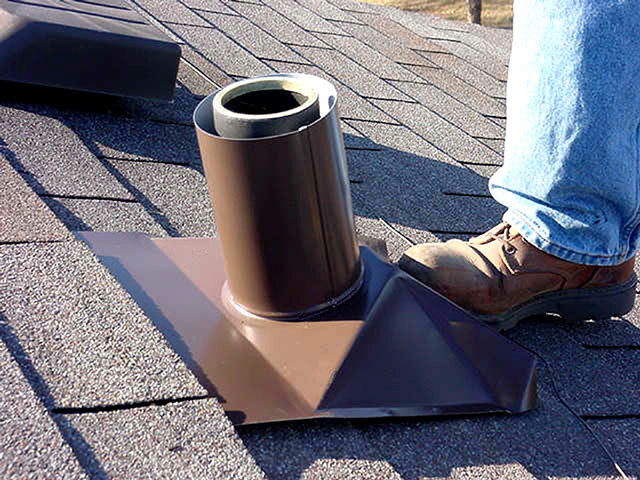 Your F.J. Moore roof Flange is ready to go.